The founder and company director of mp|media solutions is Melissa Pouliot, who first established her media marketing business in May 2000. Melissa started her writing career in the harsh outback heat of western Queensland for a small weekly paper called The Western Sun, which is now known as the Warrego Watchman, where the back door of her office conveniently opened to the beer garden of one of the local hotels. In her dark, dingy and hot office she wrote the stories on a typewriter before faxing them through to her editor where his copy staff retyped the story before setting up the pages on the old-fashioned iconic printing presses. She lined up her subjects like a firing squad for photos using a clunky old SLR that consistently jammed, before posting the film canister to the production department. She also sold ads for car yards and stock agents and did the accounts by hand well before the days of GST. Little did she imagine the advances in technology that would allow her, 20 years later, to be running a virtual media and writing studio with clients spread right across Australia and overseas. From her studio on the NSW Sapphire Coast her stories are now emailed across the continent, her film projects, photographs, design projects and online content shared via the cloud and uploaded to social media and YouTube within minutes. When Melissa left Queensland she moved to the much larger tri-weekly newspaper, the Wimmera Mail-Times in Horsham in Western Victoria, and enjoyed a frantic five years in the newsroom as a journalist, sub-editor and special features editor before starting her own media-based company. It was the first business of its type in the Wimmera at the time – the term “PR” in regional areas was a new innovation. Melissa prides herself on her form of PR being strongly media-based – real stories, real people, real news. The business is now run from a room with a view on the NSW Sapphire Coast near Merimbula – utilising the advances in technology such as Skype and the web as well as the simple and old-fashioned techniques of keeping in touch such as picking up the phone. Melissa prides herself on bringing together professionals in film, radio, television, photography, graphic design and media to deliver exciting, innovative advertising, marketing and educational projects for her clients. From television advertising to audio books, corporate DVDs to short films. There is never a dull day in the mp|media solutions studio! 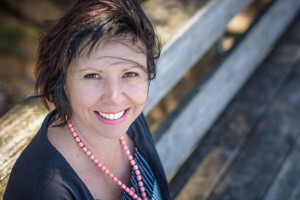 Melissa has published hundreds of articles in newspapers and magazines around Australia, produced several short films and television and radio ads, project managed large and small projects in Australia and overseas, and has published several non-fiction books. She is also a bestselling fiction author, and has published five fiction novels starting with her debut Write About Me, inspired by the disappearance of her cousin Ursula Barwick in 1987. In July 2017 the Australian Federal Police launched Melissa’s fifth novel FOUND in Canberra. Melissa is the author of the Rhiannon McVee Crime Mystery Series which starts with FIND ME. Other titles are When You Find Me and You’ll Never Find ME. She is also an Ambassador for the Daniel Morcombe Foundation and a global ambassador for missing persons through her work with the Australian Federal Police National Missing Persons Coordination Centre, the Families and Friends of Missing Persons unit of the NSW Department of Justice and the Missing Persons Advocacy Network. In 2016 and 2017 Melissa partnered with the Bega Valley Shire Council, AFP, NSW Police, Families and Friends and the broader community for regional launches of National Missing Persons Week as part of her advocacy role to raise awareness for missing people. The work that comes out of my studio every day is a constant reminder of how far things have come since I first started my writing career on a typewriter in the Queensland outback. And thankfully it’s all done with the comforts of air-conditioning and in a much milder climate zone! Note: There’s a great story about where Melissa’s media writing career started in outback Queensland on Australian Story called Letters to the Editor. Due to the wonderful world of technology you can watch it online.